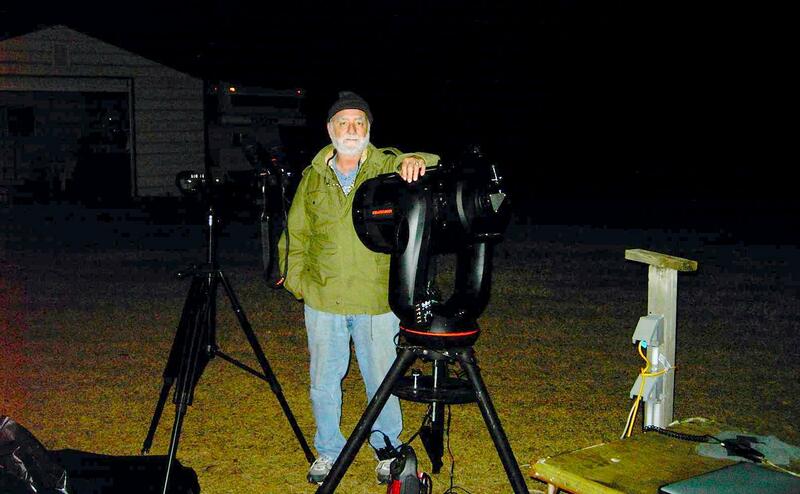 Dennis Farr, owner and founder of the FarrOut Observatory in Dade City. 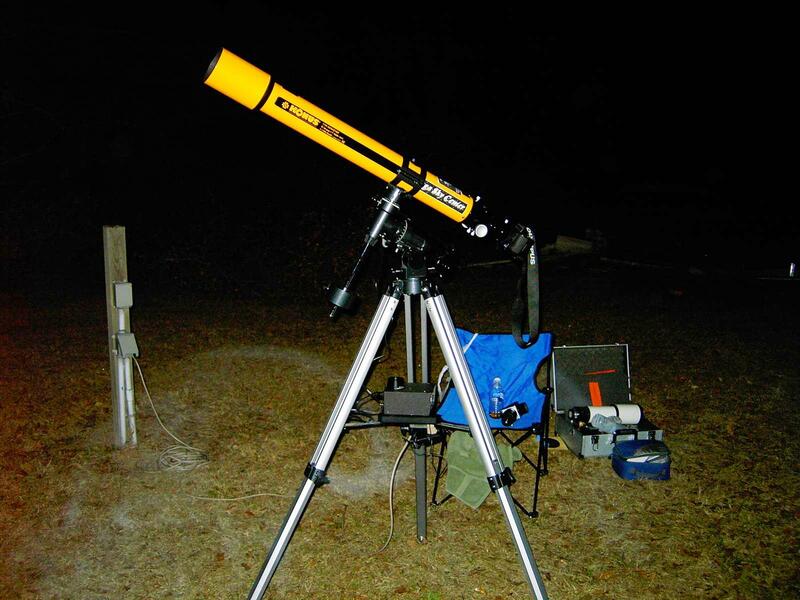 FL poses proudly next to his Celestron NexStar C-11 f/10 GPS SCT and binocular mount at the FOO site during the January 2009 observing session. Dennis was the president, and is currently secretary/ treasurer of M.A.R.S. (Museum Astronomical Resource Society) at MOSI (Museum of Science and Industry) in Tampa, FL. To the surprise of some, after a long stretch between now and my last visit to the FOO (due to family events and work related circumstances), I managed to make it to the January 24, 2009 FarrOut Observatory observing session. Well, this report is going to be somewhat short, because of the weather conditions. Upon my arrival at around 19:00 EST, I was graciously greeted by our host, owner, and founder of the FarrOut Observatory, Dennis Farr, who yelled out, “is that Mel Dawson”. I responded, “yes, it is”! I guess Dennis could not believe his eyes, because it had been some time since my last visit. It was indeed great to see him again. 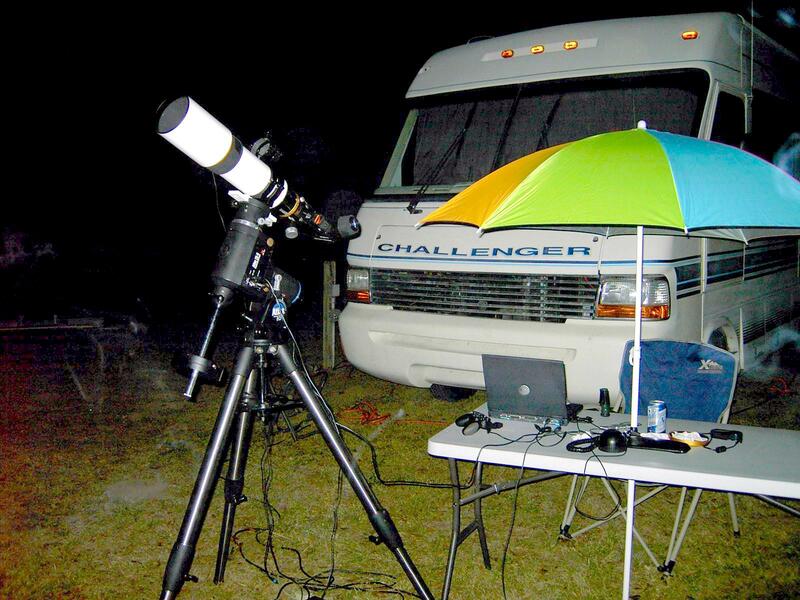 He is definitely a generous individual and a great asset to the astronomical community. Others who attended the session were Bob Stelmock, Kevin Reese and his wife Pat, along with two new faces, Pete, and Steve. The sky conditions were unpredictable. With a slight breeze from the northwest, we hoped that the skies would clear in short order. The temperature was around the mid-50s. Unfortunately, early on all we were getting was a few periodic sucker holes. Altostratus and Altocumulus clouds slowly streamed across the sky revealing several openings, which had observers dashing to their telescopes trying to view objects like the Orion Nebula, Venus, Saturn, and others, before those sucker holes would become obscured with clouds. My ambition during this observing session was to perform some trial DSLR imaging using my 80mm f/6 APO triplet, and my 90mm f/11 achromatic refractors. But, with the limited amount of atmospheric clearing we had, I only used my 90mm. In any case, I was able to capture a few images. 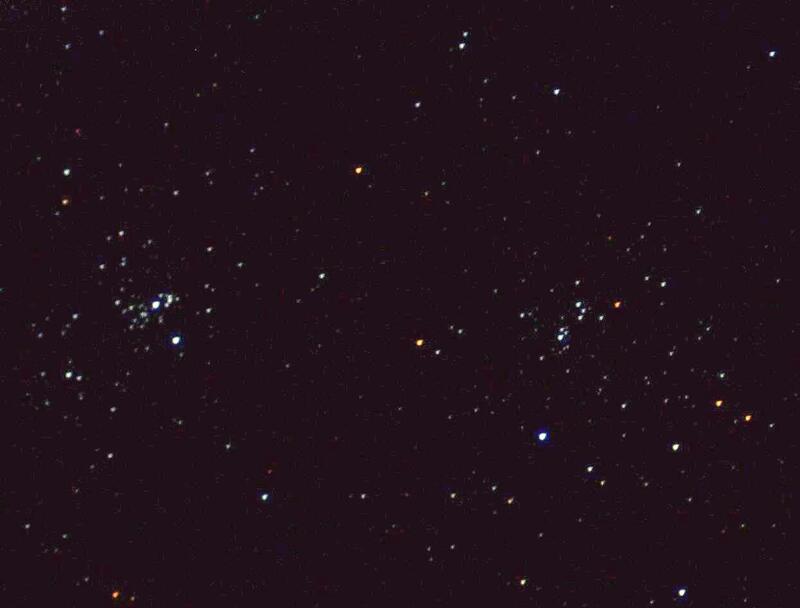 A couple was taken of the planet Venus (presently in the constellation Pisces), and one of the Double Cluster in Perseus. I tried imaging the Orion Nebula when a clear opening in the clouds appeared, but it quickly closed in a matter of minutes after taking a few bad shoots. 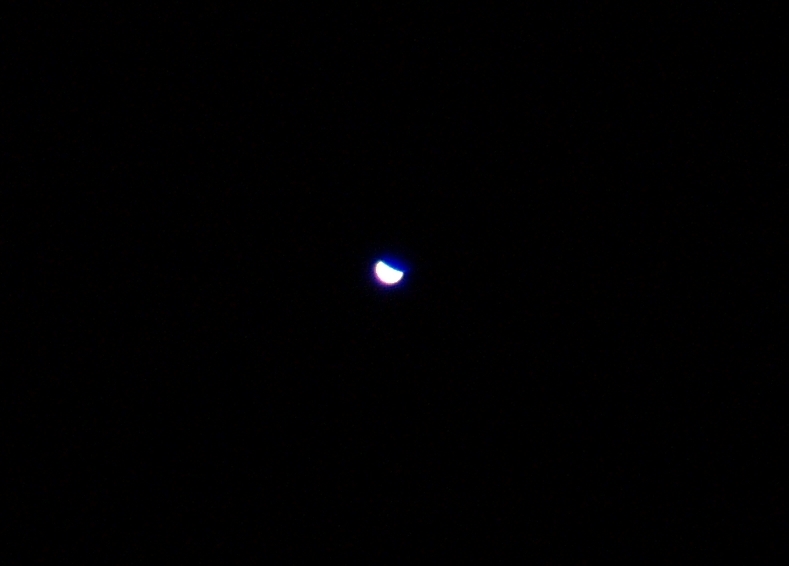 Below are the images of Venus I took that somewhat worth saving.